The Indian Chief is my favourite cruiser of them all. The way Indian Motorcycle put it together, in terms of aesthetics, engineering, and finish levels is breath taking. So naturally, the expansion of the Chief range is always a good time - it means one more chance to ride this rather impressive machine, right? 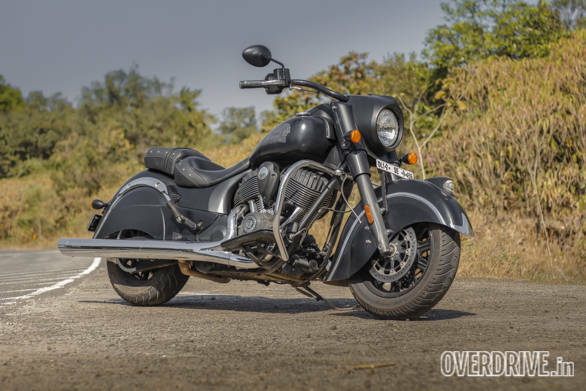 Polaris introduced the Indian Chief Dark Horse a few months ago and it's taken a while for the test vehicle to reach us. But we're all smiles because no surprises, the Indian is terrific. But first, what is it? The Dark Horse is a stripped down, matte black Chief that sits at the bottom of the price chart. 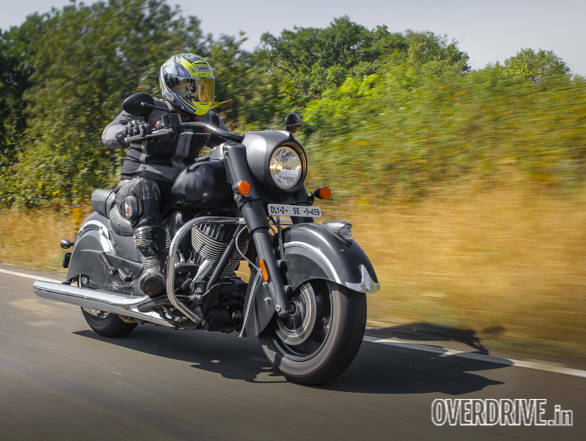 It is about 13kg lighter, for example, than the Indian Chief Classic, the lowest variant we've tested in OVERDRIVE. Do you notice this weight difference? No. 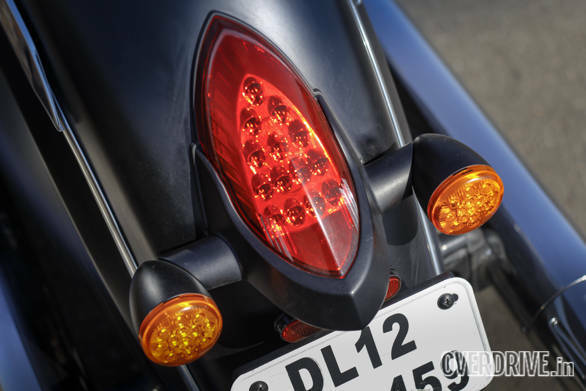 On a 350kg motorcycle, that kind of weight difference produces only a minor difference in performance, feel or economy. But when the base motorcycle is an Indian Chief, that's not an issue because as cruisers go the Chief Dark Horse is epic. The 1811cc V-twin, the Thunderstroke 111, is lovely. It has a distinctive rumbly voice. It produces incredible torque and reaches its peak at just 2,600rpm. 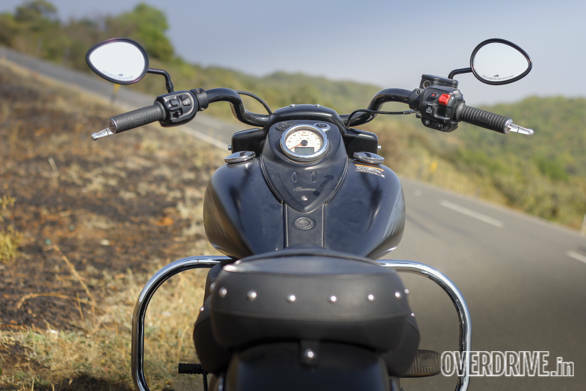 Chugging along at low revs in high gear, the Chief is effortless and the deep sound reminds you of a big diesel locomotive pulling a freight train up a mountain slope. Marvellous. And given a handful of throttle, it pulls like a freight train too. 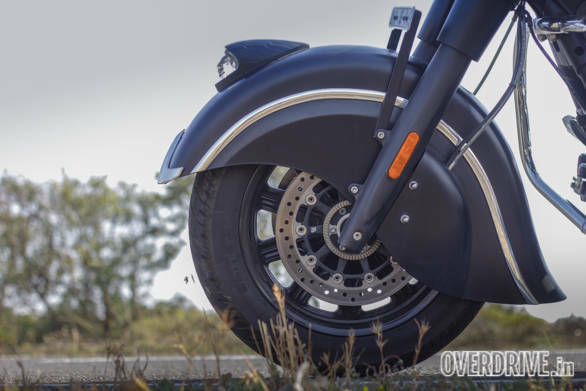 It'll slam you into the backrest, the front'll rise purposefully and the speedo needle sweeps across the dial face very quickly for a motorcycle this size. The gearbox makes chunky-clunky noises like cruiser 'boxes are expected to but shifts are clean and precise. It's a beautiful powertrain in terms of the way power is made and delivered, how it sounds and how it goes. With tyres that're substantially giant balloons you cannot really expect a 350kg motorcycle to corner, right? 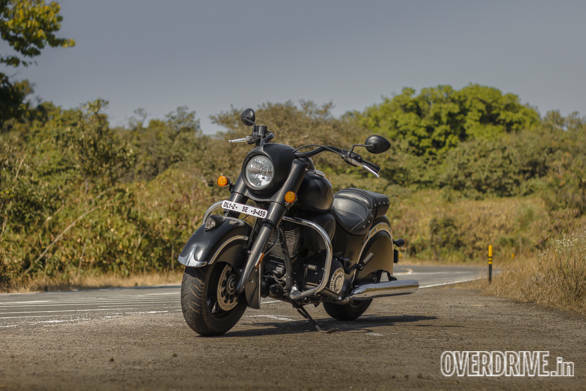 The Indian Chief Dark Horse will shock you into silence. It goes hard into corners and the confidence with which you'll scrape the enormous floorboards is actually hilarious. 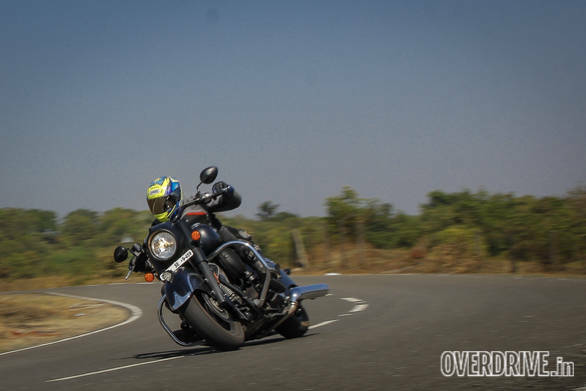 Sweepers are obviously best, but with some skill and effort, the Dark Horse can also flick side to side though you'll feel the weight and length of the motorcycle to be sure. Brakes, similarly, work well for its size and weight. In terms of dynamics, the Dark Horse exceeds expectations, just like every other Chief has in the past couple of years. Which leaves us with the design, equipment and pricing. I love the way it looks. The valanced fenders look very cool as does the war bonnet atop the front fender. I've always enjoyed that train inspired headlight cowl and I think it looks terrific in stealth black. The seat again, is super comfortable for all day riding though I'd suggest you add a grab rail/sissy bar if you're taking a pillion along with any regularity. Despite the 'stripped down' nature of the Dark Horse, you lose no equipment to speak of compared to the Chief Vintage, the base model. So the essentially proviso is just the fact that matte black paint is harder to maintain and keep than other paints. Like the other Chiefs, the Dark Horse isn't a cheap motorcycle. It costs Rs 24.29 lakh on-road Mumbai. It's a luxury and like all luxuries, I guarantee that it will make you feel special.